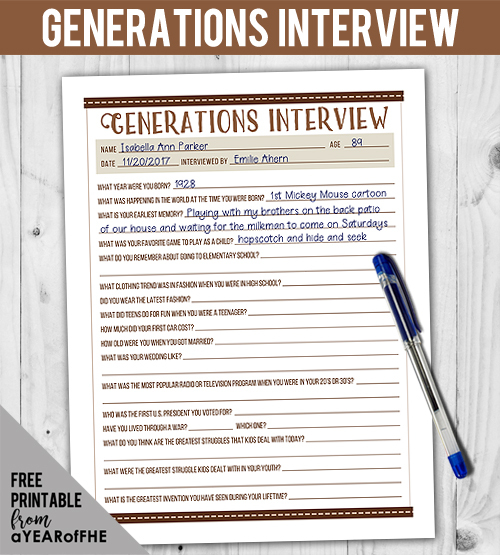 What You'll Need: scriptures, GAB 137: Thomas S. Monson, coloring pages, coloring tools, interview page, pen/pencil. Everyday that we are here on earth we are learning. Think of all the things you can do now that you could not do when you were a baby. The older we get the more we learn and grow. We get smarter and smarter. - What are some of the things you have learned recently? - Could you do those things when you were 1 years old? Part of the joy of getting older is learning more and having more experiences. Each stage of our lives have different things that bring us joy and make life wonderful. Today we are going to talk about the blessings and challenges of the Elderly (explain what the word "elderly" means if needed). Older people have learned and grown a lot. They have had so many amazing life experiences and love sharing those experiences with others. When you get older you can stop working and enjoy fun things. You also get to see you kids grow up and get to have grandchildren and great grandchildren. We can learn so much from older people about life and happiness. It is a joy to get to speak to them and hear their wise words. Our Prophets and Apostles are older men. They are called at that time in their lives because they are wise and have many experiences to help them serve others. They have lived a faithful life and grown close to Heavenly Father. 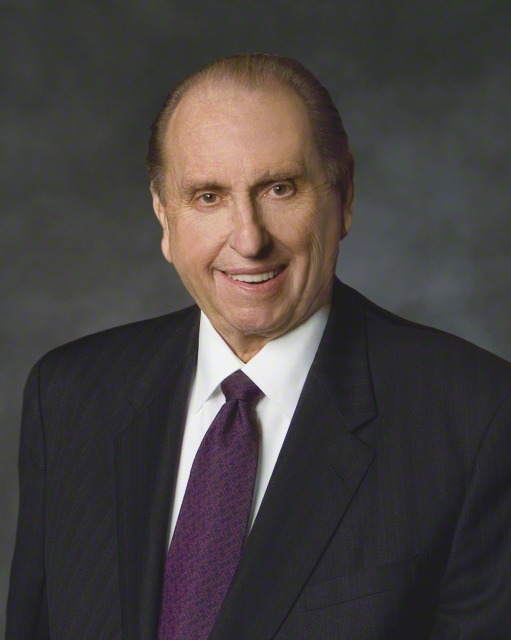 Our Prophet today is Thomas S. Monson. He is 85 years old. But sometimes elderly people get sick or their bodies don't work just right anymore. They may have to stay in a special place called a Nursing Home where doctors and nurses can help them. It's nice that they are getting the care that they need, but it can also be lonely. Their families can come and visit, but sometimes they don't get very many visitors. We can help the elderly in many ways. If we have elderly neighbors we can do things for them that may be hard when your body gets older. We can rake their leaves, mow their lawns, shovel snow or lift things. This brings joy into our hearts for serving and helps them stay safe. We can also visit those in nursing homes. Just a smile or a song can make them feel loved and wanted. Sharing our hearts with others is the best gift we can give. Bear your testimony about the love and service we should show to the elderly. Share some good experiences and life lessons you have learned from those older than you during your life. Practice Song: If you are teaching your family the MARCH Song of the Month, go over the words and music with your family. 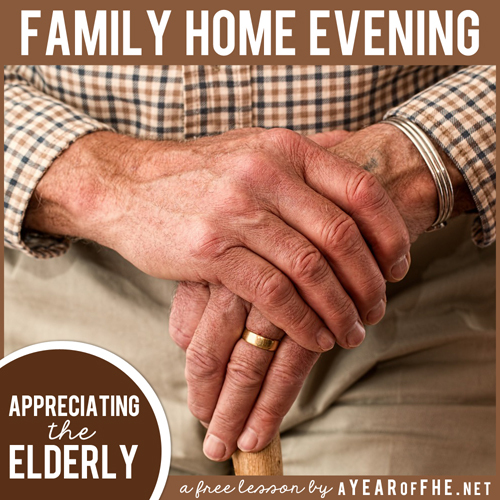 Schedule a family visit to a local nursing home. Have the kids make art projects/cards during the week and schedule a visit for next Sunday afternoon. What better way to spend the Sabbath than in loving and serving others? Nursing Homes are desperate for these kinds of visitors and the residents truly love it! Do not take any sweet treats since many patients have diabetes or other diet controls. Having children around the elderly from a young age can erase some of the unfamiliarity they might feel if they aren't exposed. 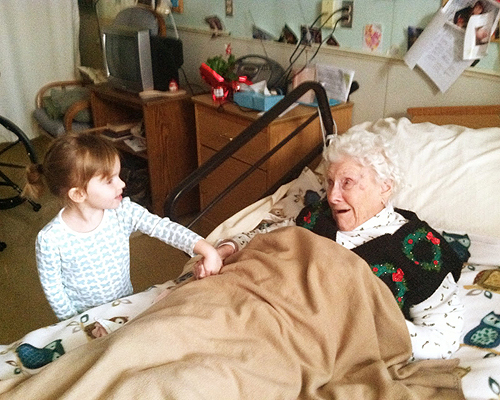 Visiting Nursing Homes regularly as a family can bring amazing blessings and happiness. 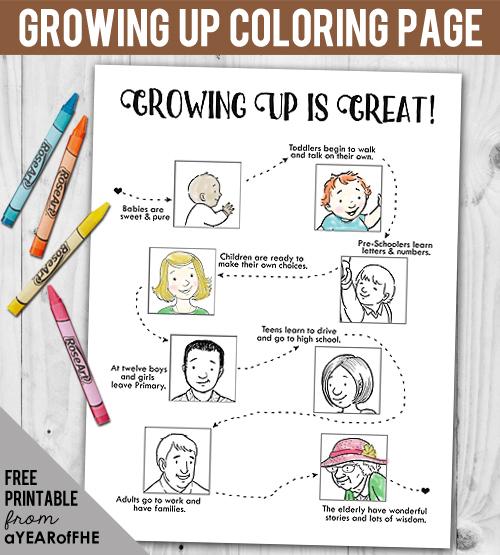 Just thought I'd let you know that the link to the lesson PDF above is just the "Growing Up is Great" page instead of the entire lesson. Thanks for all you do! Thanks Natalie! I fixed it! LOVE this website. So easy to adapt these great lessons to all ages and everyone can learn something :) thank you for all the work you've done!! It's so refreshing to see and enjoy such a wholesome website in this day and age. Thank you for providing such a wonderful resource for future FHE lessons! Well done!! LOVE! Thanks for all you do - it's so helpful! Thank you. Great as usual. What a great lesson! I just discovered your site and can't wait to use these fantastic resources. We just talked tonight about visiting an older sister in our ward in the hospital, so this lesson will be perfect to prepare our kids. Thanks! My kids aren't around elderly people very often and we are going to a nursing home this month to deliver Christmas cards. This will be a great lesson to do before we go! Thank you!